BRONX, N.Y. (WABC) -- Police have arrested and charged two men in the shooting death of a woman in broad daylight in the Bronx. The suspects are 18-year old Justin Mateo and 20-year old Justin Campkin, both from the Bronx. Witnesses say the victim, 20-year old Kimberly Velasquez, may have been an innocent bystander when she was shot Thursday on Waring Avenue, near PS 89 and Columbus High School. 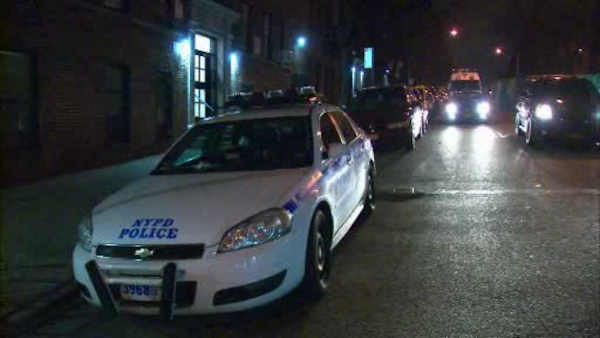 The NYPD said a 911 call came in that a woman in her 20s had been shot. She was rushed to the hospital, where she was pronounced dead a short time later. After the shooting, police were looking for three people who fled the scene - two men and a woman.